The Europa League last-16 second leg matches kick off on Thursday night. Eight big games will be played across Europe with several teams attempting to make dramatic comebacks. Last week’s first leg matches set the table for what should be a grandstand finish. Teams from England, Spain, France, Germany, Italy, and other European nations are set to battle it out with places in the quarterfinals up for grabs. Let’s look at the top four games in the last-16. Eintracht Frankfurt head to Italy to clash with Inter Milan after their first leg finished nil-nil in Germany. The first match was a battle of two competition heavyweights with neither being able to score. Frankfurt was the better team for much of the game, but it took a first-half penalty save from goalkeeper Kevin Trapp to keep Inter off the scoreboard. The second leg is nicely poised with Frankfurt able to progress with a score draw thanks to the away goals rule. Although Frankfurt is ‘burning hot’, Inter have that ‘it’ factor. This is not familiar territory for Frankfurt, therefore, Inter will get the win. However, it won’t be by a 3-0 scoreline. Arsenal was shocked in the first leg by Rennes. The French team ran out 3-1 winners and now Arsenal must overcome the deficit to progress. The good news is Arsenal gained an away goal in the first leg. If they win 2-0 on Thursday night, then the Gunners will progress. Winning 2-0 is easier said than done, especially with the way Rennes have been playing in the Europa League. Rennes will have striker M’Baye Niang in the side against Arsenal. He missed the first leg due to suspension. Niang’s return will be a boast for the team. Arsenal will still be without striker Alexandre Lacazette, who is serving a suspension of his own. Although the Gunners are predicted to win 3-0, that score will not occur. The Gunners will put in a better performance than a week ago, but even if they do win, they won’t go through to the next round. 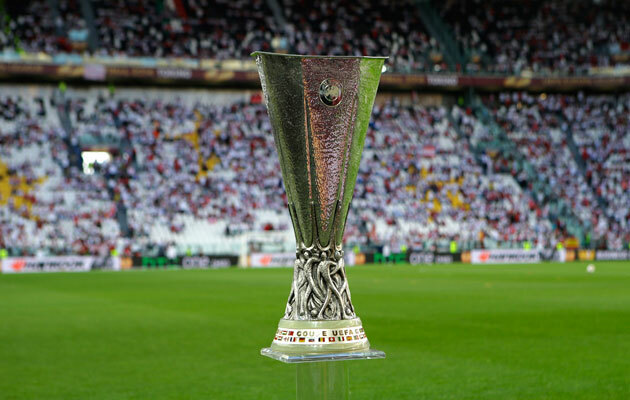 Sevilla travels to the Czech Republic to face Slavia Prague. The Czech club is on the verge of completing the upset of the round. They scored two away goals in the first leg meaning they hold the advantage currently. That could all change against Sevilla. The Spanish team has won six Europa League trophies in their history and are a regular in the competition. Sevilla should be much stronger in the second leg against Slavia. However, Slavia is difficult to beat at home. They’ve kept six clean sheets in eight home Europa League games. In 13 of the last 16 Europa League tournament knockout series, when the away team drew 2-2 in the first leg, they won at home to progress. Expect a dream upset for Slavia as they win a close fixture at home. Russia club Krasnador host Valencia with the chance of upsetting the Spanish team. Valencia – along with Chelsea and Arsenal — is one of the top three favorites according to leading sportsbooks. For nearly the entire first leg, Valencia dominated with Krasnador barely hanging on. The team got a late goal to give itself hope for the second match. Valencia’s talent should still be enough to get the team through to the quarterfinals.